Founded on traditional values and steeped in a rich history, North British has moved with the times and offers exciting careers coupled with excellent benefits for people from a whole range of backgrounds. Our aim is to collectively nurture individual talent and provide quality employment. We employ people across a whole range of job roles, including production, warehousing, engineering, finance, HR and project management. Different roles require different levels of qualifications and experience – check out our available jobs for more detail. We focus on continuous improvement as our 'True North', with company-wide core values uniting our workforce. For all employees, safety at work and working together are part of day-to-day life at North British. A culture of support and opportunity enables those who work here to thrive in their chosen field. Professional development is a cornerstone of employment at North British: for example, previous graduate engineers have been sponsored through the three-year Institute of Brewing and Distilling Diploma. Access to a defined contribution Group Personal Pension Plan. The employer contribution is up to 15% of basic salary (based on an employee contribution of 10%), with flexibility for further employee contribution. Access to Employee Assistance Programme, a helpline offering free, confidential advice and face to face consultations for employees and their immediate families on a range of issues. There’s a culture of support and opportunity to enable those who work here to thrive in their field. Professional development is a cornerstone. Our aim is to collectively nurture individual talent and provide quality employment. We focus on continuous improvement, with company-wide core values uniting us. We run a STEM (Science, Technology, Engineering and Maths) programme with Tynecastle High School. 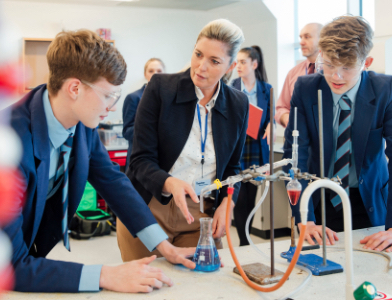 S1 pupils are challenged to take on a project which is topical for the whisky industry, while Higher Chemistry students are given the opportunity to carry out the project that forms part of their final grade onsite in the distillery laboratories.